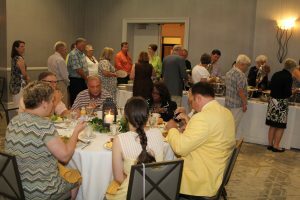 Savannah, GA – The congregation of the Lutheran Church of the Ascension in Savannah, Georgia held their Capital Campaign Kick-Off Brunch at the Savannah Hilton DeSoto hotel on Sunday, July 9, 2017. Ascension has embarked upon a $3.5 Million Capital Campaign to raise funds for renovation and restoration projects that are planned for the city’s historic church building. Upon the strong recommendation to the Congregation Council by The Rev. 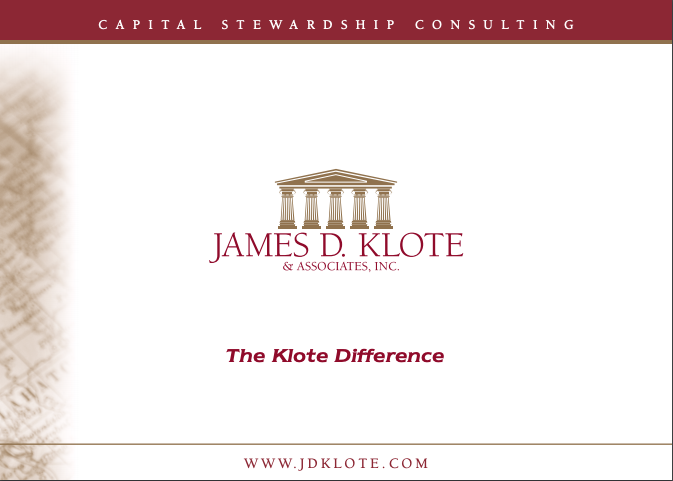 Dr. Richard Campbell, Interim Pastor, Ascension engaged the services of the Capital Stewardship Consulting firm James D. Klote & Associates, Inc., of Falls Church, VA. Mr. Ray A. Sim is the Klote associate that is directing the day-to-day conduct of Ascension’s campaign. Pastor Campbell had been involved in a Klote directed campaign on a previous occasion as Pastor Emeritus at St. Matthew’s Lutheran Church in Charleston, SC. Following their Sunday worship service, approximately 115 people, including a few children, attended the Campaign Brunch. Many walked together from their historic church located at 120 Bull Street on Walker Square in Savannah’s Historic District to the Hilton hotel a few blocks away at 15 East Liberty Street. A short program following the brunch was highlighted by a video recording presentation featuring local attorney Frank W. “Sonny” Seiler, Honorary Chair of the Steering Committee, some wonderful remembrances shared by Ms. Norma Berwin Ward, and a video presentation by Pastor Campbell; all of whom provided a special combination of humor, nostalgia, inspiration and encouragement. Mr. John Manly, also a local attorney and the congregation’s Council President was the emcee of the program and he, along with Steering Committee Co-Chairs Doug Herolt and Ryan Schneider, gave a wonderful review of what has been accomplished in the campaign thus far and what to expect in the coming weeks as the combined campaign moves forward in its goal of visiting every household in the congregation. 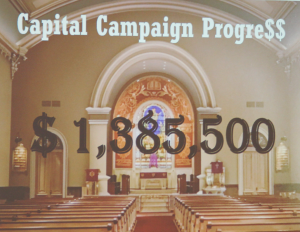 Mrs. Patty Wakely, Council Vice President, shared with those who attended the brunch the wonderful news that $1,385,500 had already been pledged to the Capital Campaign by several members of the church’s lay member leadership.